If you’re still using a non-4K model, now is the time to make the switch. Getting a 4K OLED tv is like setting up a home theater. From old-school classics to modern blockbusters…it will transform how you see, hear, feel, and live almost any type of visual broadcast. You won’t know what you’re missing until you see it in ultra super-duper mega-uber HD. How is a 4K TV different? 4K means that you’ll get 4x times the resolution compared to a traditional HD 1080p unit. That means a much sharper, crisper, more vivid and more “alive” picture. Remember how awesome HDTV was when you first saw it after a lifetime of watching standard definition? From non-4K to 4K is as big a step up, if not bigger. The picture quality is crystal clear, with impeccable detail and magnificent color schemes. It allows such a vivid experience that gives a 3D-like sensation, without the awkward glasses. You’ll almost feel like you’re at the Super Bowl, except you didn’t have to shell out for $10,000 tickets. If you love nature shows like us, you’ll get blown away. Trust us, few things compare to feeling like you’re on the African plains without the risk of a lion eating you. With Netflix, Amazon Prime, and YouTube growing, we’re spending more time in front of a screen than ever. That means that the quality of our screens are now more important. Producers know this, which is why the number of shows broadcasting in 4K is blowing up. And do you want know what’s really great? Prices of the big brands, like Sony and LG, have plummeted. The technology has reached the point where it’s affordable for everyone. If you were ever going to buy a 4K TV, now is the time. As soon as you start searching for 4K TV reviews, you’ll find there are a ton of models out there. 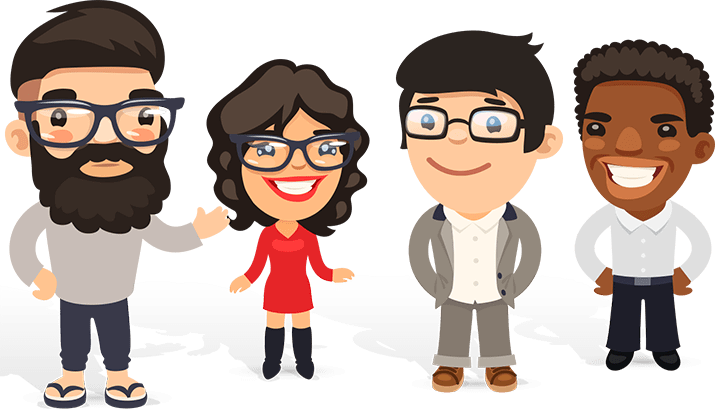 If you’re looking for a particular size screen, you’ll find some great options in our hottest 55 inch TV reviews and 65 inch TV reviews. Let’s start with one of the newest and shiniest 4K TVs from global giant, Samsung. This flagship TV is part of the new QLED series. The ultra HDR picture quality is breathtaking. It will capture fast scenes like car chases in astonishing detail. You can make out everything with such clarity that you won’t miss a thing. You’ll get transported into everything you’re watching by the lush, sensational colors. 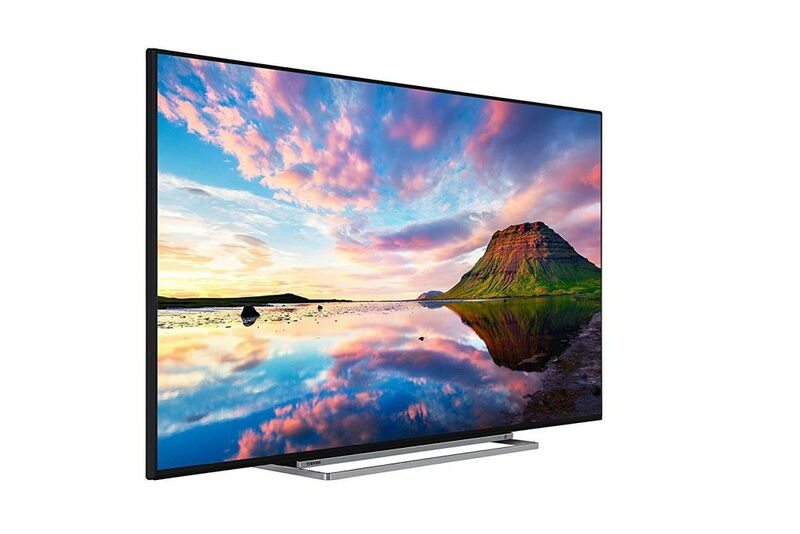 Apart from the impressive specifications, this TV will look beautiful in your home. We love that it even comes with a special ambience setting, where you can set the TV to play calming music, display your favorite photographs or an awe-inspiring landscape. It means that your TV becomes a part of your decor, and you won’t even notice it. Great for those of us who don’t want a super imposing TV taking up all the attention. Most of the outputs are on the side, which we found was great for accessibility. Plugging and unplugging gadgets and accessories are a breeze. The OneRemote works with all devices and even comes with voice recognition: XBox, Apple TV, and anything else you need. It’s intuitive to use, allowing you to put your feet up and mindlessly navigate your TV. As we lift the TV up onto the stand, we’re a little concerned about how wobbly it feels. It won’t topple over on its own, but you will have to protect it from unnecessary knocks while moving it, cleaning it…that sort of thing. We recommend investing in a cheap security strap that will help keep you TV secure. If your question is “should I buy this TV,” our answer is: What are you waiting for! If you want the latest model from one of the best technology companies in the world, now is your chance to get it for a great price. Wow. This TV packs a lot of features while still coming in at a fair price of around $700. With the ultra thin bezel, neatly designed stand and the wires tucked tidily away, this well made TV would look super stylish in any home. The Roku is all about screen quality, incorporating Dolby Vision HDR with brilliance. This makes the picture quality feel life like. Characters and landscapes pop out of the screen – it’s beautiful. We found that the lighting is great, too. A full array LED backlighting, with local dimming controlled by smart technology. The LED illuminates when you need a bright resolution, and dims when the program calls for darker. This is a whole lot more sophisticated than the traditional edge LED lighting. Roku’s a beast, of course. They offer more than 500,000 TV shows and movies. If you can spend your nights binge-watching Game of Thrones without shame, this is for you. The remote is simple but effective. It comes with voice technology and a headphone jack. Want to crank up the volume without disturbing your family or neighbors? Not a problem. The audio quality is very good but if you want a full home theater experience, we think it’s worth investing a set of affordable surround sound speakers. That will make the TCL Roku epic. All in all, this TV is proof that you don’t have to spend thousands of dollars to get a good quality, high spec 4K TV. It's the best model on the market and often on offer, so if you spot a deal, grab it now. This sleek TV looks and feels expensive. The brushed steel stand is seductively curved, whilst remaining stable and secure, while the slimline bezels are almost invisible. This is a stylish, sleekly modern TV, and, along with the equally well designed remote, makes a great addition to a home. The picture quality is everything. We found the colors to be effervescent, with decent brightness and contrast that rivals more expensive models. Looking for the ultimate TV for watching movies? The LG delivers on all fronts from Dolby Atmos sound that is also used in cinemas to full support for HD streaming in Dolby Vision, HDR10 and HLG. Even if those acronyms mean little to you, trust us, it makes for a very lifelike image quality. It’s easy to set up in minutes, saving you time and headaches. It feels sturdy on the stand and comes with safety features. If you have small children running around your house, your little ones are well-protected from any risk of harm. To make the most of your LG, you’ll want to navigate to picture mode settings and configure it to a more cinematic feel. If you’re more knowledgeable, you’ll enjoy being able to customize your resolution. We especially appreciated the anti-glare screen. This guarantees great picture quality, even in rooms flooded by natural light. Make no mistake: With this TV, you’ll have the latest in screen technology! That’s not all. We were impressed that LG has integrated Google Assistant into the unit, giving you complete control using voice recognition technology. Those real video aficionados, who love a full HD cinema experience, will find that as the screen goes darker it gives off an ever so slight grayish hue. Still, this TV delivers way more than you’d expect for the price. Dreaming of having a home cinema that delivers an unreal viewing experience? 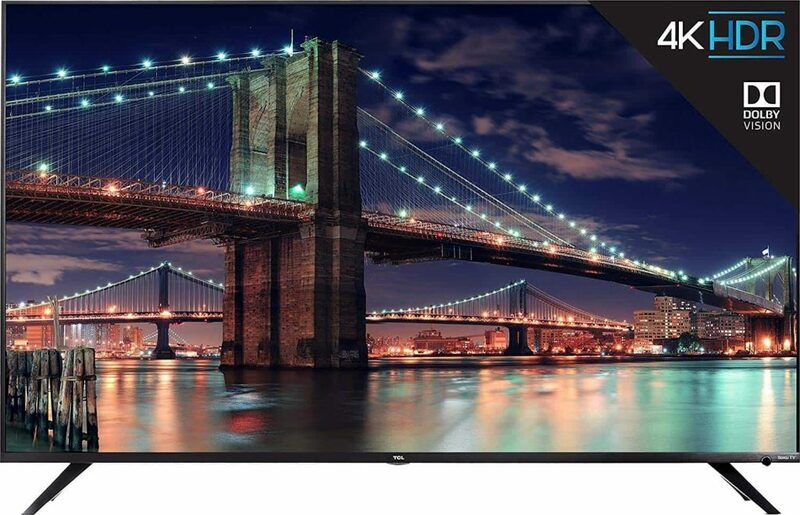 The Toshiba 4K TV will get you there. This is a beautiful model so thin that it sits without effort in your space or mounted on your wall. The majority of the outputs are at the back or on the side for ease of access. Speaking of the screen…the caliber of color resolution and brightness are so good that you won’t find it in many other models. State-of-the-art 4K HDR and the TRILUMINOS display combine to make this possible. TRILUMINOS (fun to say, isn’t it?) claims to offer more color variety and depth than any other brand out there – we found it very impressive. Finally, the Motion Technology ensures that your picture is always crisp. Those intense action shots won’t skip a beat. Finally, as with the Samsung and LG, the Toshiba comes with Alexa and Google Home compatibility for a total hands-free experience. If we were to place one criticism? If you turn up your volume to the max, the audio can get a little distorted. That’s nitpicking, though. This TV is the Rolls Royce of 4K TVs. If you’re feeling indulgent, it’s a real statement piece. Have a blast watching home TV at its absolute pinnacle. And hey, make the neighbors a little jealous while you're at it. 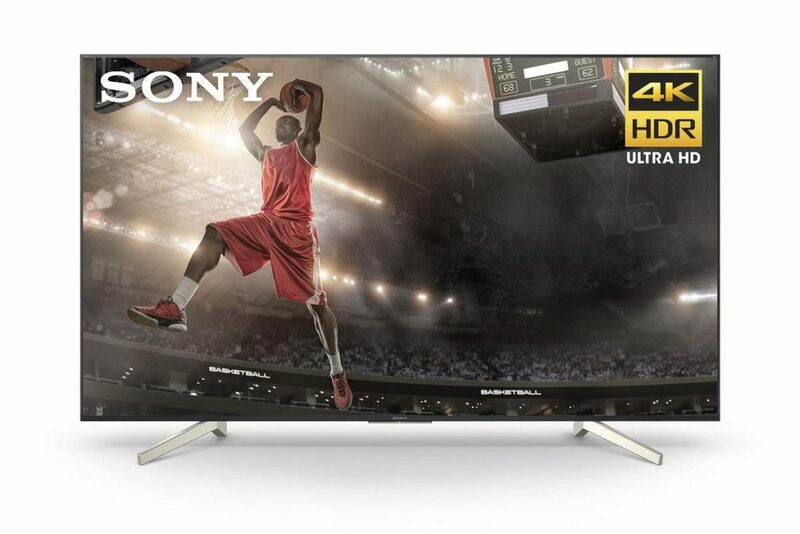 The Sony 4K Ultra HD Smart LED has firmly earned its place in our Top 5. 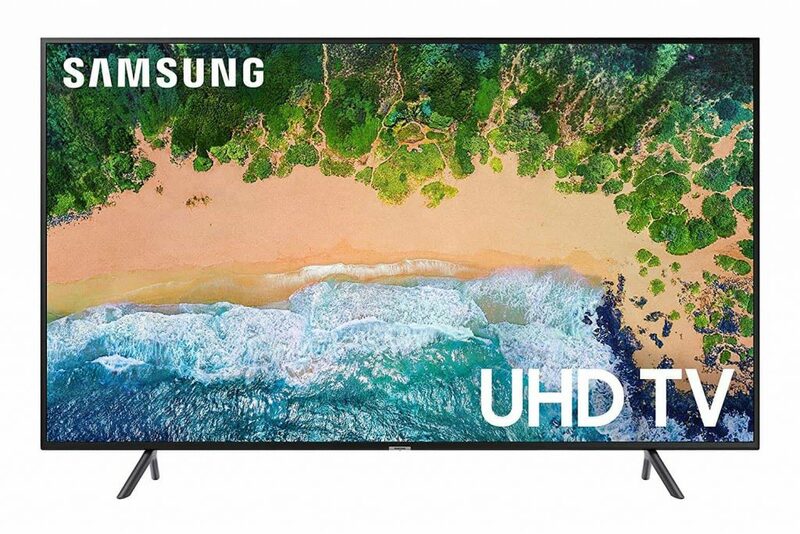 Boasting stunning screen quality with a dynamic range of colors, and all the modern comforts including Netflix and GooglePlay, this 4K TV is a solid choice for anyone looking for a 4K TV for their home. As we expected, this unit comes packed with all the cool features you want in your smart TV. The smart remote includes a Netflix button so you can click right into your favorite shows. You can connect your TV with Spotify – perfect for a night chilling at home, or a fun house party. The TRILUMINOS display provides impressively accurate colors. If you want a viewing experience as close to reality as possible, not exaggerated for effect, this is it. In every other aspect, the two have identical performances. Both use MotionFlow XR960, tech which adds a thrill to fast-paced movies and video games. Our only small disappointment came with the sound quality. We wish Sony had incorporated a bass-boosting speaker to complete the theatrical experience. But if you take 10 minutes out to do a little tweaking with the settings, you’ll be fine. Sony never disappoint, and this time is no exception. Their offering to the 4K TV market is a worthy contender. By combining exquisite screen quality with a reasonable price tag, this is one not to miss. 1. Should I get a curved tv? There are some benefits to getting a curved 4k tv. For example you can have a more immersive viewing experience and the tv won’t reflect light even if it’s located near a window. However, bear in mind that a curved model is likely to restrict the amount of viewing angles. 2. Is 4k resolution the best on the market? The answer is Yes! 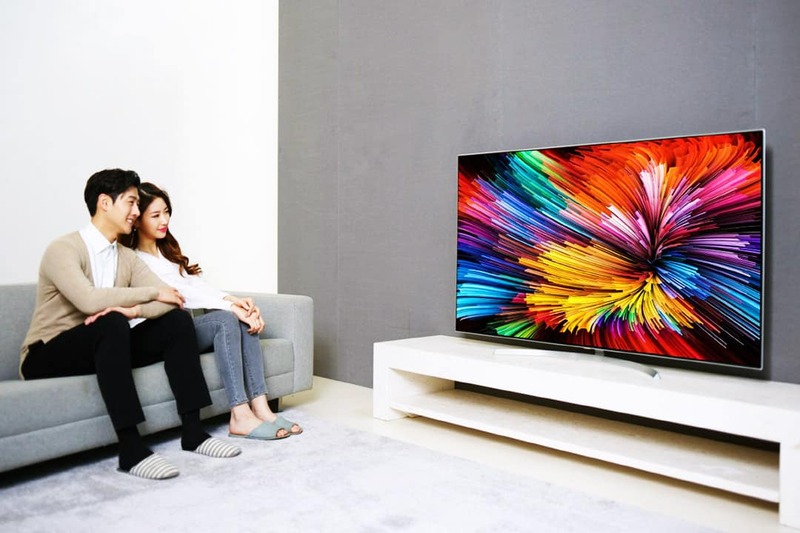 You may have heard that there are 8k tv’s being developed and even already available for sale. But only a handful of shows are capable of being streamed in 8k, which means that your new 8k tv would be almost a waste. In contrast there is plenty of new content coming in 4k, which is exceptional quality. So we say that for the foreseeable, stick to 4k. 3. Where can I buy a cheap 4k tv? We source all of our 4k tv’s from Amazon. 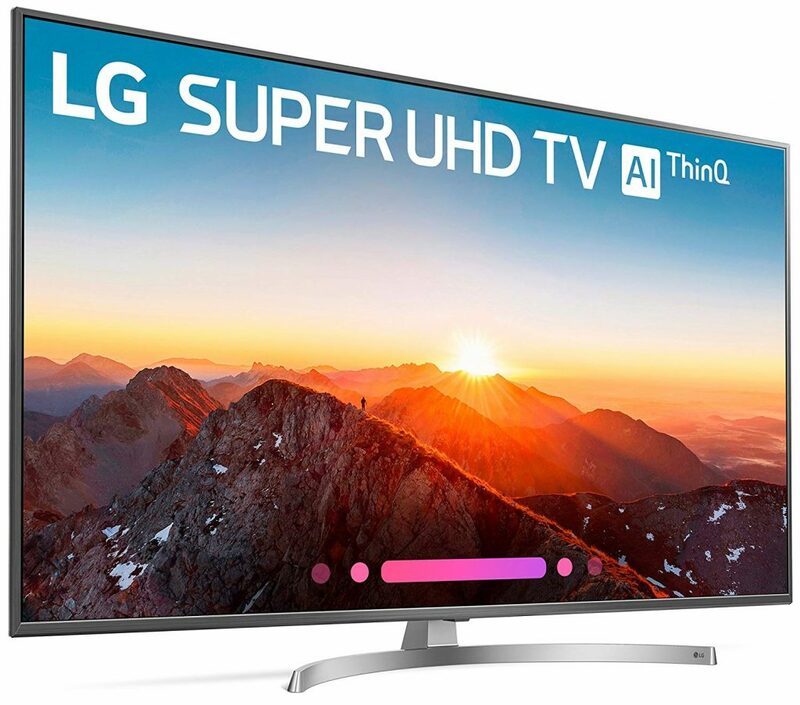 Not only do we get competitive prices, but there are often special offers that make the tv’s cheaper than in the stores. There’s often free delivery and returns included, which makes this a hassle free way to shop. The cheapest 4k tv deals we’ve found have been up to half the normal retail price. Click on the links in our review to access these low prices.